The debate between using genuine replacement parts and non-genuine parts is constant. OEMs know the intimate details about a product’s design, engineering and performance and argue it’s for those reasons machine operators should always use genuine replacement parts. But the bottom line is a constant area of focus for fleet managers and business owners. Saving money with non-genuine parts is a powerful lure and a key driver for going in that direction. This won’t put an end to the debate, but Perkins recently discovered some interesting facts by testing three fuel lift pumps made by other manufacturers. These findings demonstrate why genuine Perkins replacement parts should be the preferred decision. Today’s modern machines operate with fuel pumps that help improve fuel economy. 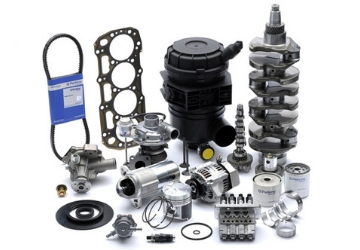 A fuel injector and lift pump are integral parts of this system that raises the fuel level in an engine block by creating suction and air flow management. The lift pump builds pressure in a fuel tank to push fuel into the injection system. If a lift pump is unable to maintain the proper pressure, the engine is forced to deal with stressors that will reduce its efficiency and ultimately cause damage. Too much pressure and you run the risk of exceeding emission standards. Too little pressure and you could see piston failure or loss of engine power. The non-Perkins pumps that were tested violated Perkins’ patented technology because the pumps were unable to maintain the correct fuel pressure, resulting in a fuel pump that struggled to operate properly and showed increased internal slippage. Poor fuel filter performance – debris, water and other contaminants slipped pass the non-genuine fuel filters, potentially causing damage to the fuel pump and injectors. Unknown air bleed system – The non-genuine pumps could potentially block air bleeding, a critical function to an engine’s performance. Perkins fuel pumps are brushless, which avoids any issue of wear or the gumming of biofuel mixes. The pumps ensure the proper pressure range is maintained to protect the fuel injection pump, head gaskets and other engine parts. Our trained technicians and trusted dealer network can help you find the right Perkins lift pump to ensure your engine avoids any of these costly problems and keeps your machine running at maximum uptime.